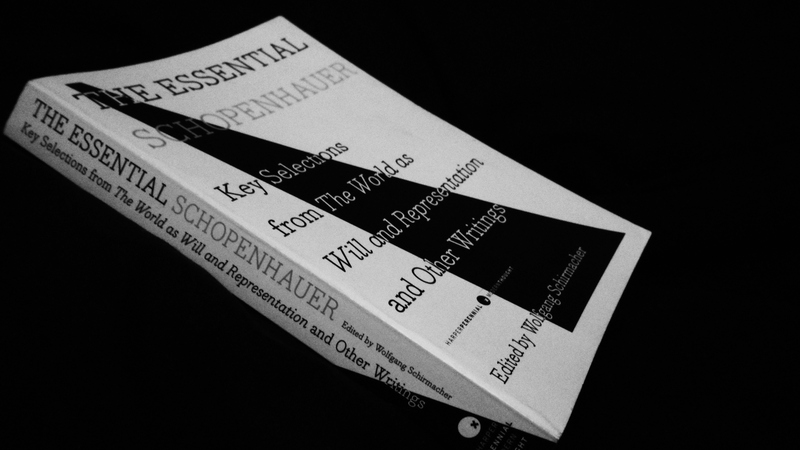 The Essential Schopenhauer: Key Selections from The World as Will and Representation and Other Writings. I believe this book really contains the essential Schopenhauer. The introduction is very well written and the book itself is made to be taken with you everywhere. I am usually partial to hardcover books, because paperbacks make me nervous. But this book bends and moves with me, I don’t know what they made the cover of, but I like it, it doesn’t crack, tear, fold or peel, it’s hardy. I feel like the cover accurately represents the mindset you must adopt before reading Schopenhauer. The man speaks the truth, the hardest truth, he’s honest, courageous and unwavering, just as you ought to be when you read him. The book opens wide without the spine cracking, unlike other paperbacks. It should challenge you in such a way that you have to carry it with you. And then one day while on your coffee break at the local café, you’ll look up to take a sip from your exotically named muddy drink, glance around at the people walking by and you’ll realize you understand the world a lot better.